Sol Trader finally on itch.io! Sol Trader, in case you haven't seen in on Steam, is a "genre-busting space simulation" where it's not about what you know - it's who you know. In Sol Trader you trade not only goods but ships, components, minerals, favours, contacts and information too. Each new game is already two centuries old. 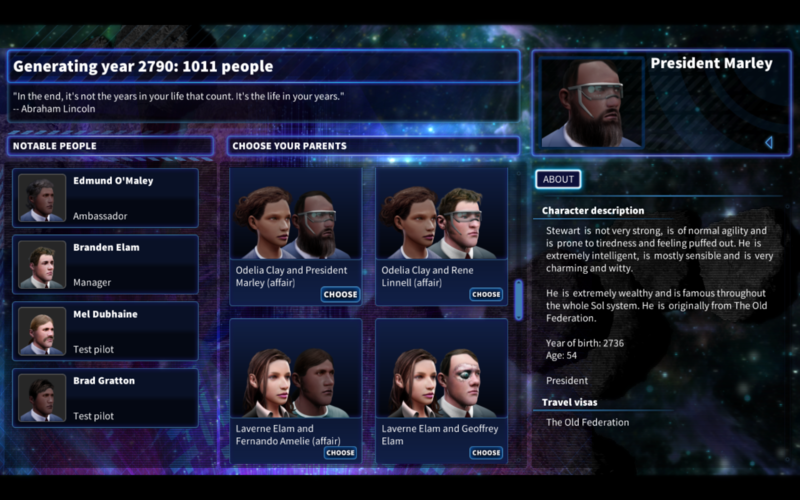 Thousands of random characters are born, live and die as the game is generated, creating totally unique societies each time. When starting a new game you do so from your character's birth, choosing your parents and all your major life choices as you grow up. Your choices determine your personality, your friends, relatives, business contacts and your enemies. There a few gameplay updates coming for Sol Trader in the autumn which are quite exciting... I'll post more about the updates on the devlog soon! Ah good catch - thanks!